We are a leading Manufacturer of paver block lacquer polish making machine, lacquer polish making machine, lacquer coating making machine, mini lacquer polish making machine, interlocking tiles floor coat making machine and interlocking tiles lacquer coating making machine from New Delhi, India. We have uniquely positioned ourselves as a dependable firm, engaged in manufacturing and supplying Lacquer Polish Making Machine. 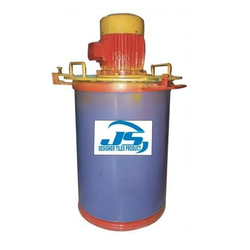 This machine is used for making lacquer polish for tiles and concrete. We manufacture this machine under the strict inspection of expert supervisors using best quality stainless steel. Highly demanded in the market this machine comes in different specifications for clients. We offer this Lacquer Polish Making Machine at affordable prices. With the help of our team of adroit professionals, we are indulged in offering a wide assortment of Lacquer Polish Making Machine. This machine is widely demanded by our clients for its excellent design, easy and reliable operation. The offered machine is available in various sizes, designs and specifications, as per the requirements of our esteemed clients. High grade raw material is used by the professionals, along with contemporary production equipment to manufacture the entire range of machine. 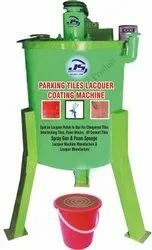 We provide interlocking tiles lacquer coating making machine at reasonable rates.